Corneal transplantation is suggested in a number of corneal disorders including advanced keratoconus, corneal swelling, scars, infections, and dystrophies. There are a number of different surgical options in corneal transplantation, including full thickness transplants, partial thickness transplants, and laser assisted modalities. At The CLEI Center for Keratoconus, we prefer the newer femtosecond laser assisted procedures (IEK) for many of our patients. With subspecialty fellowship training in corneal surgery and years of transplantation experience, the CLEI team works to give you the best possible option for your surgery and visual outcome. The overall success rate of a corneal transplant is very high using modern eyebanking and surgical techniques. However, there are many factors that influence the outcome. For instance, keratoconus has one of the best prognoses for good vision with a greater than 90% chance of a clear graft. After surgery, the transplant must be monitored over time for signs of graft rejection. For patients with other eye diseases such as glaucoma or retina problems, the visual result may be affected even if the surgery is successful. In most cases, vision returns gradually after surgery. Patients must remember that the healing process may vary greatly from one individual to the next. Some patients may enjoy improved vision within a few weeks after surgery; for others, it may take up to a year. 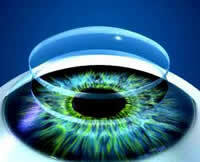 Glasses or contact lenses are still necessary after most corneal transplants. A variety of vision correction procedures after corneal transplantation may be useful. The procedure usually takes approximately one hour and is performed with either general or local anesthesia on an outpatient basis at a local ambulatory surgical center. If you are having a laser-assisted procedure, the laser portion of your surgery will take place at CLEI and then you will be transported to our outpatient surgery center. After the surgery, you will go home with your eye covered by a patch and plastic shield to protect the eye. When you see us the day after surgery, we will start your medicated eyedrops. You may use drops for a year after surgery to prevent rejection of the transplant. Stitches may remain in the cornea for several years in some cases. Post Transplant Contact Lenses: Specialized contact lens fitting may reduce astigmatism and improve vision after corneal transplants. Excimer Laser PRK and LASIK: In selected patients, reshaping the transplant using the excimer laser can improve visual acuity without glasses or contact lenses. Topography-Guided PRK: New technology now allows us to directly use the optical topography map from your cornea to give give a custom treatment and the smoothest optical outcome based on your individual transplant topography attributes. Conductive Keratoplasty (CK): CK uses radiofrequency energy to reshape the cornea. Astigmatic Keratotomy: Many patients after transplantation suffer astigmatism. Revising the transplant wound, sometimes with suturing, can diminish transplant astigmatism. Please click on the links to the right to read about each individual corneal transplant procedure in more detail.